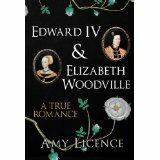 Book Corner: Edward IV and Elizabeth Woodville: A True Romance by Amy Licence – History… the interesting bits! It is the stuff legends are made of – and fairy tales. The story of how a penniless widow rose to become the Queen of England. After examining the lives of many of the characters of the Wars of the Roses and the Tudor period, author and historian Amy Licence has turned her attention to the greatest love story of Medieval England; Edward IV and Elizabeth Woodville, a true Cinderella story if ever there was one. 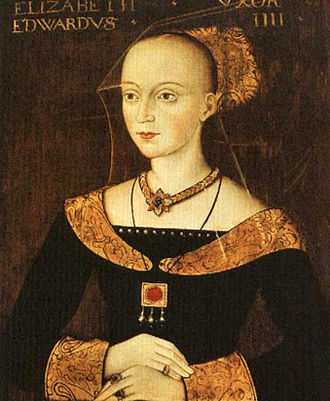 Amy Licence’s latest book, Edward IV and Elizabeth Woodville: A True Romance, is remarkable in that it is not a fairy tale, it’s not a historical fiction novel. 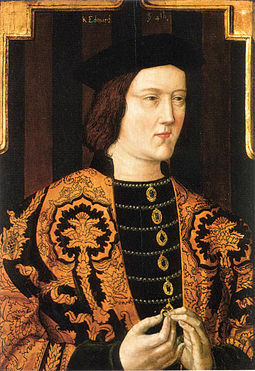 It is the true story of how Edward IV came to be married to a mere ‘commoner’. In a wonderfully lively retelling of the lives of Edward IV and his queen, Ms Licence leaves no stone unturned. She tells the story from the beginning in a fascinating and engaging narrative of the lives of her main characters, and the lives of those around them. Amy Licence goes into great detail about Edward’s love life and relationships, examining all the accusations ever levelled against him. Her love of her subjects shines through. The book provides a thorough analysis, whilst being lively and enthralling. “A True Romance” is a marvelous piece of research presented in such a manner that will have the novice and the expert glued to every page. 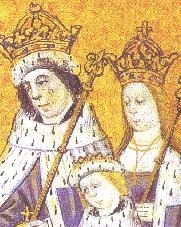 The controversies surrounding the couple are discussed in detail: their secret marriage, Edward’s reputation, Elizabeth’s social status. This romance is presented in the context of the period in which it happened. The author gives a comprehensive overview of the Wars of the Roses, and the characters involved, detailing the lives of the individuals close to Edward and Elizabeth, and the separate lives of the couple themselves before they come together. Their relationship is not only presented as a love story, but also in the context of the period in which they were living, demonstrating how big an upset it caused on the international stage. In this book Ms Licence demonstrates not only her extensive knowledge of the events of the era, but of all aspects of the period; from May Day traditions to the Sumptuary Laws, to the people themselves. Amy Licence’s writing style is so easy to read and free-flowing, it is as if she is in the room talking to you. She brings the past to life in a vivid and entertaining way. Crammed full of facts and information taken from primary sources, the book tells the story not only of Edward and Elizabeth, but also of their wider family and affinity, demonstrating how the lives of their friends and family are interlinked and how it influences the couple, their decisions and the world around them. The book discusses all aspects of the evidence available. This is presented in an objective and fair way; from the chronicles of the time, to literary representations and even rumours and archaeological evidence. The reliability and veracity of the evidence is explained and thoroughly analysed in detail, leaving the reader nodding in agreement at the author’s conclusions; her arguments are thorough and persuasive. A major strength in Ms Licence’s work is that she shows respect when discussing the theories of fellow historians; whether she agrees with them or not. This biography of Edward IV and Elizabeth Woodville leaves no stone unturned. Amy Licence discusses every legend related to the couple, explores the development of their relationship and its effects on the lives of the couple, their families and the nation at large. Every aspect of their lives is discussed, leaving no situation unexamined and no rumour ignored. Amy Licence presents a marriage and relationship that is as human and complex as any celebrity marriage of today. This is a wonderful study of one of the most famous love affairs in history in a book which is at once sympathetic, vivid and lively. In short, this book is a fabulous biography of a romance that changed English history a forever. Thoroughly researched and stunningly presented, it is a must-read for all lovers of history, romance and the Wars of the Roses, themselves. 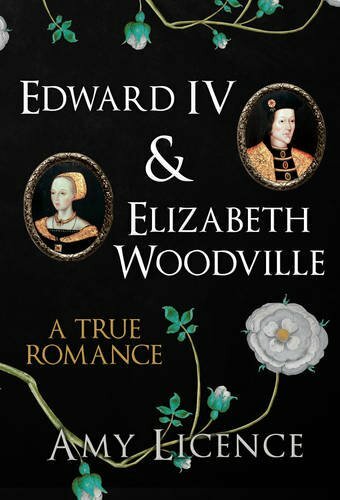 Edward IV & Elizabeth Woodville: A True Romance is available on Amazon in the UK from Monday 15th February and in the US soon. Pingback: Book Corner: Interview with historian Amy Licence – History… the interesting bits! You expressed the way Amy writes exactly spot on…it is as if she’s in the room talking to you. This couple are fascinating and beguiling . Just got my copy and about to start reading it. Great revie Was! Great review perfectly encapsulating how I feel about Amy Licence writing skills. It’s like you are both sipping a coffee and chatting. This couple are so fascinating and beguiling . A refreshing change from Henry Vlll. Pingback: The Queen’s Baby Sister – History… the interesting bits! Pingback: The Infamous Jane Shore – History… the interesting bits!